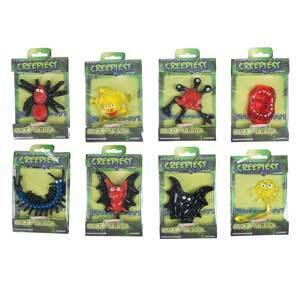 • Kids love to play with these stretchy, sticky creatures. • 8 assorted styles on 12 count clip strips. • 48 per case, on 4 clip strips, 90¢ each.